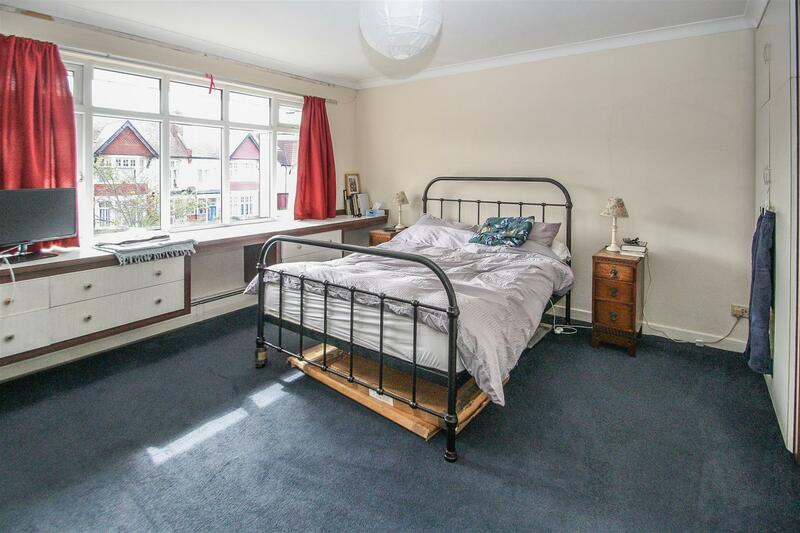 A unique opportunity to purchase a substantial 3 double bedroom semi-detached house which has planning permission passed to convert to a large 5-bedroom, 5-bathroom detached property with 3 reception rooms. 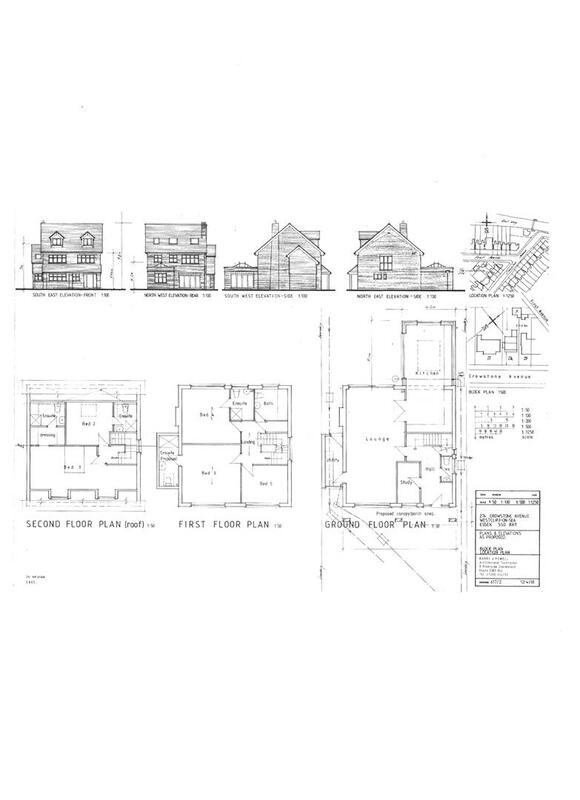 Plans for conversion can be seen and this is the ideal proposition for a developer or family to create the perfect home with scope to rebuild, refurbish and renovate an entire property. 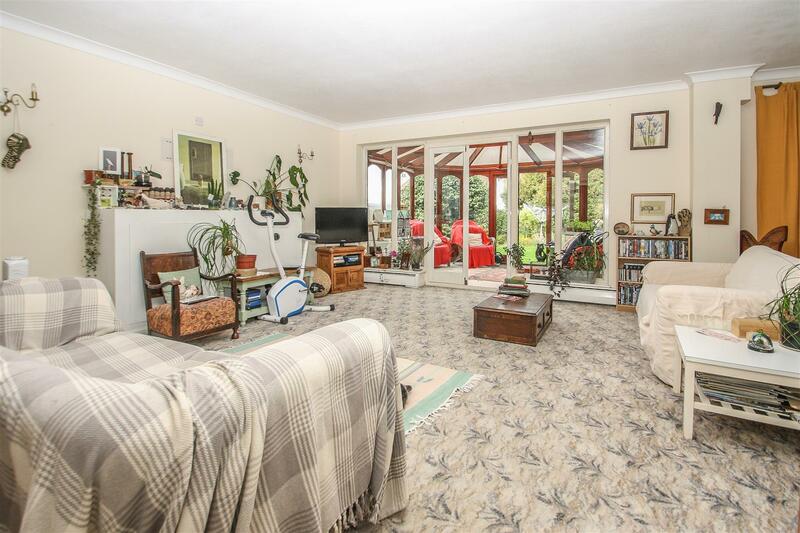 Situated on a great size plot offering ample off-street parking to the front aspect, large south-east facing garden and a large double garage to the rear with access onto First Avenue. 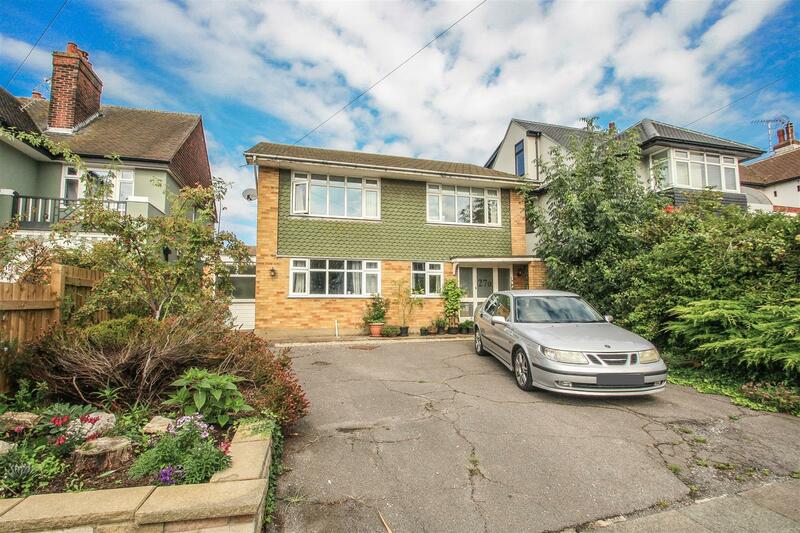 Set in the delightful Crowstone Avenue just moments from Chalkwell seafront and a short walk to the rail station. 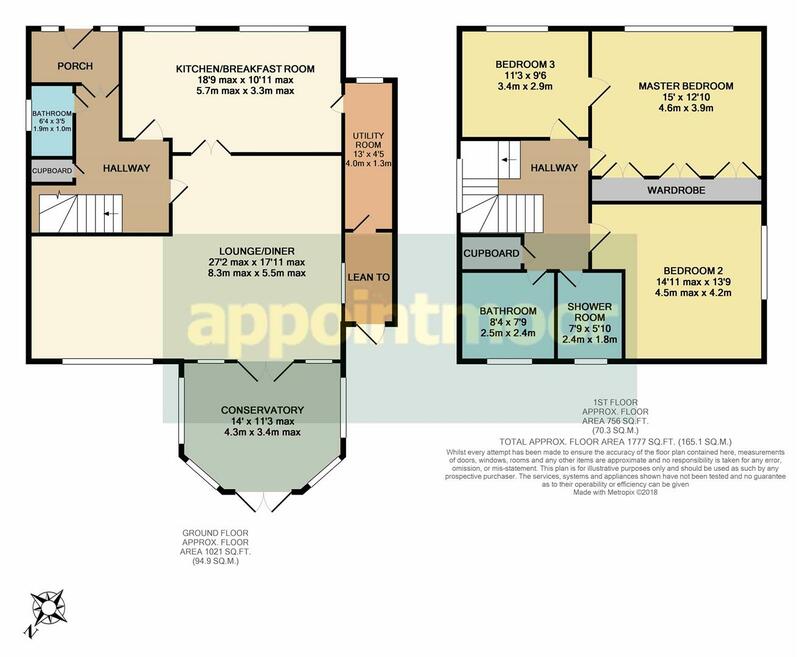 The house is currently arranged with a large kitchen/breakfast room, lounge/diner, conservatory and WC to ground floor with three double bedrooms and two bathrooms to the first floor. Viewing is highly advised. Obscure glass panel front door with side windows into porch with door into hallway. 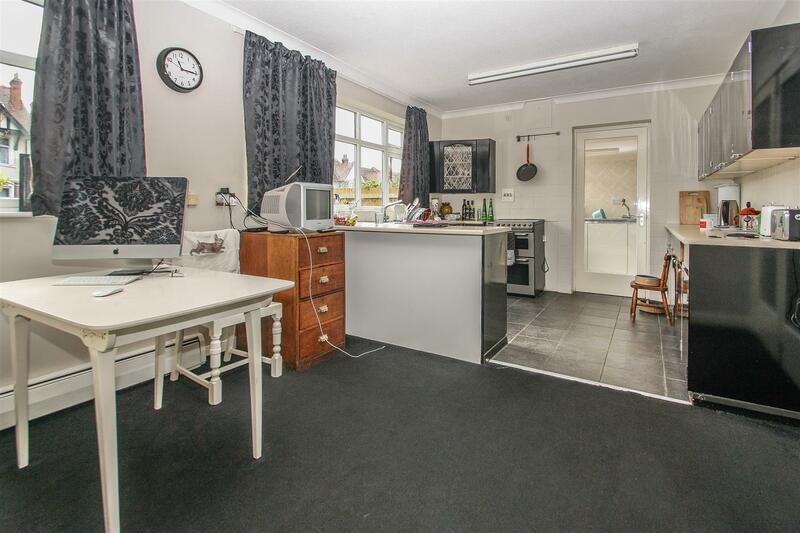 Great size kitchen/breakfast room to the front aspect. 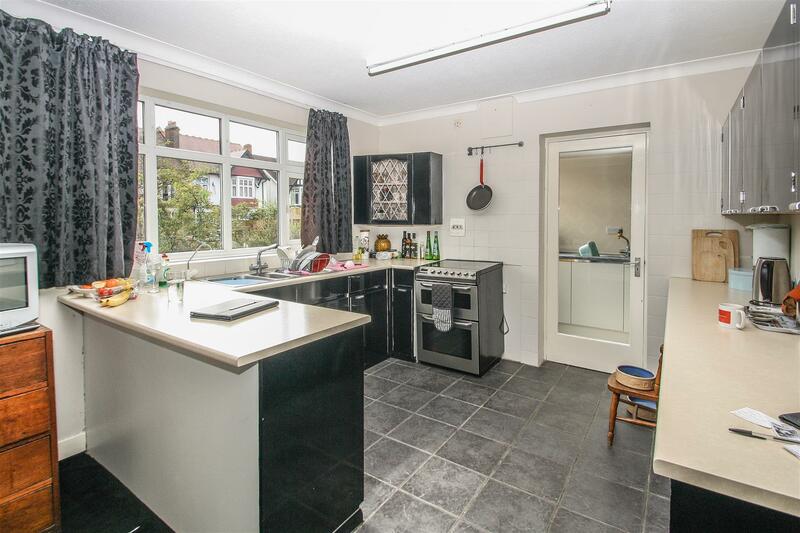 Carpeted breakfast area and tiled kitchen with vinyl flooring, wall & base units, stainless steel sink & drainer and space for appliances. 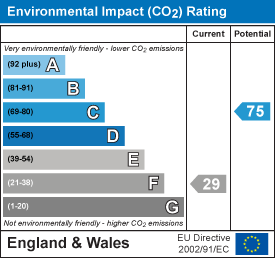 Coving, skirting & low level radiators. Door to utility room. Glass panel door from kitchen to utility area with vinyl flooring, base units and stainless steel sink. 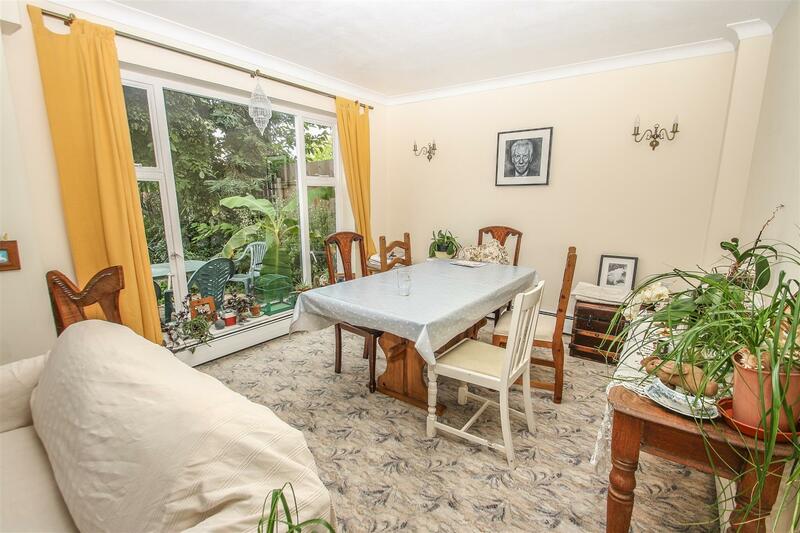 Fantastic size lounge diner to the rear of the property with full length window & double doors onto conservatory with further full length windows to dining area. 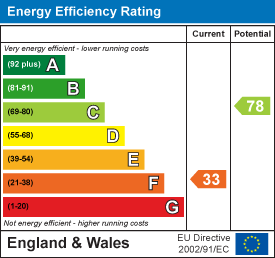 Fitted carpet, wall lights, coving, skirting & low level radiators. 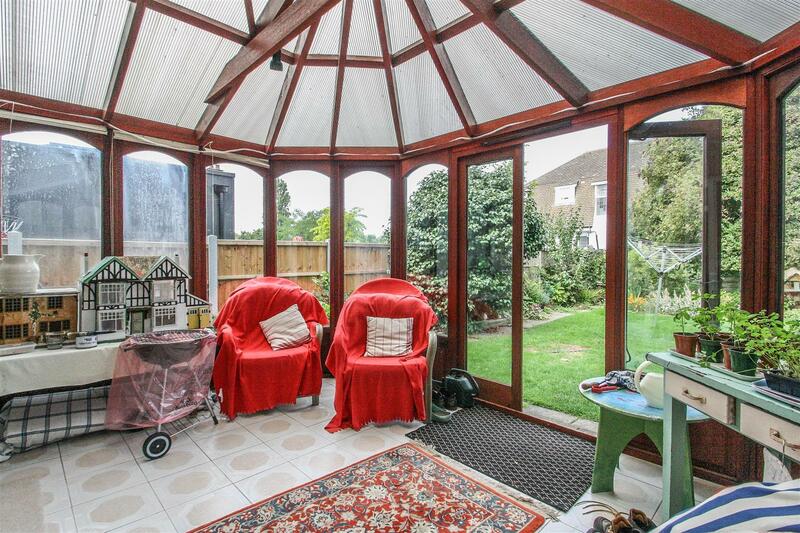 Wood frame and glass conservatory with tiled floor and double doors out to rear garden. Ground floor cloakroom with WC and wash hand basin. 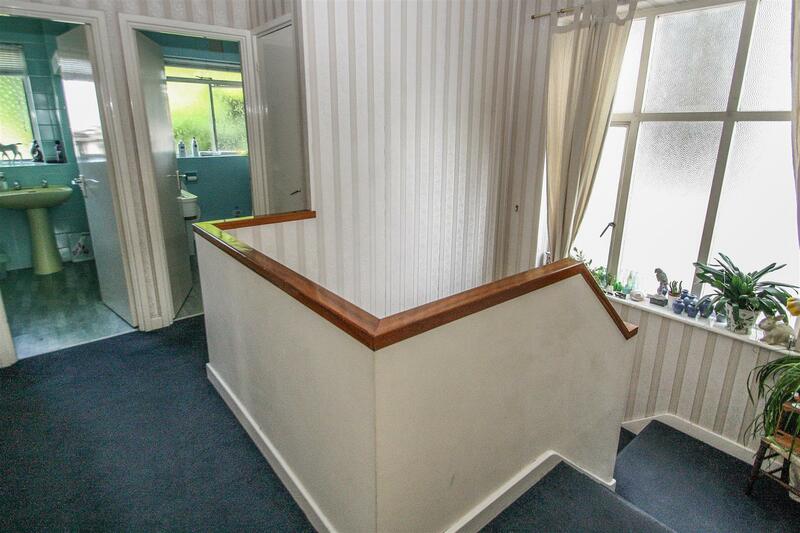 Carpeted stairs to first floor landing. Double glazed window to front aspect, fitted carpet, fitted storage units, coving, skirting & low level radiators. Double glazed window to rear aspect, fitted carpet, coving, skirting & low level radiators. 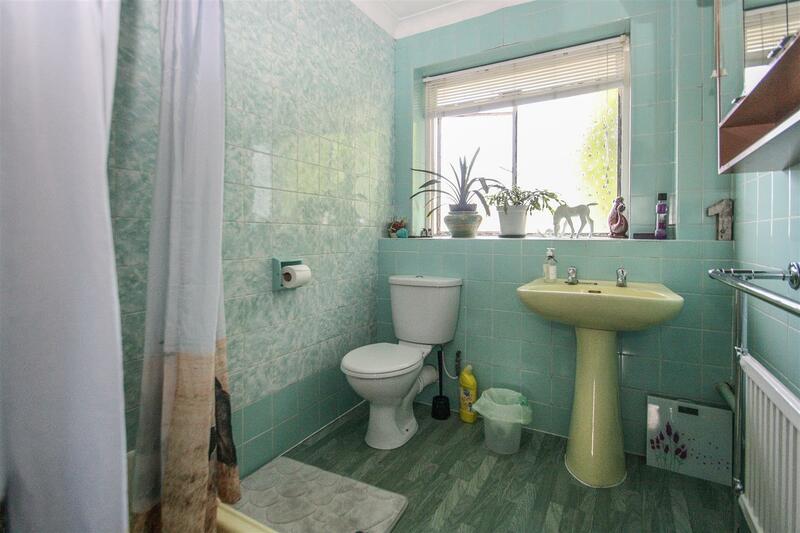 Family bathroom, fully tiled with vinyl flooring, WC, inset panel bath and vanity wash hand basin. 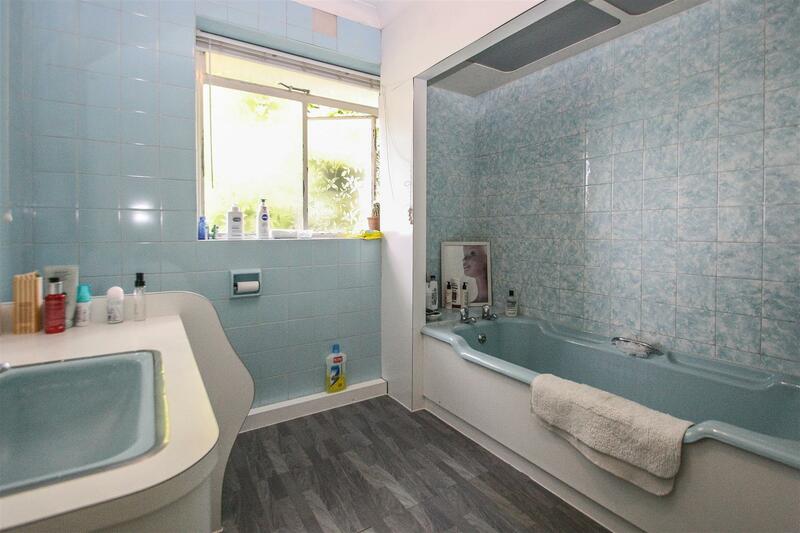 Fully tiled shower room with vinyl flooring, WC, pedestal wash hand basin and WC. 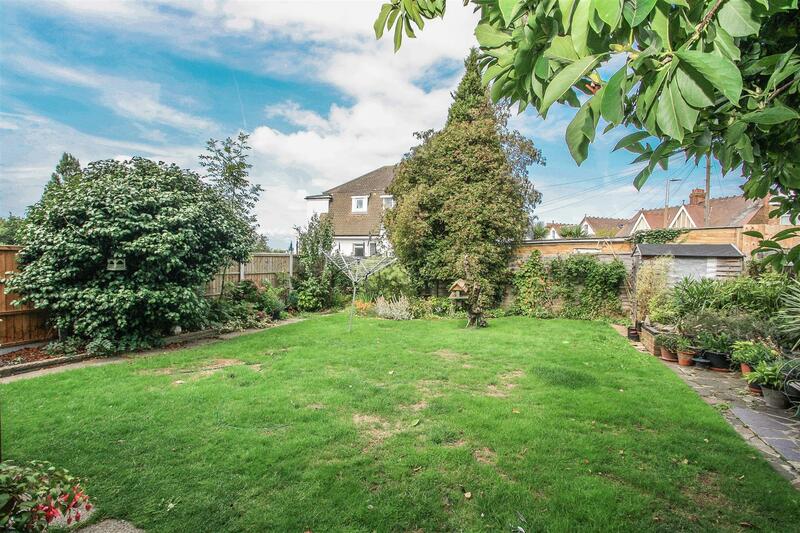 Pleasant south-east facing rear garden, laid to lawn with borders and mature trees. 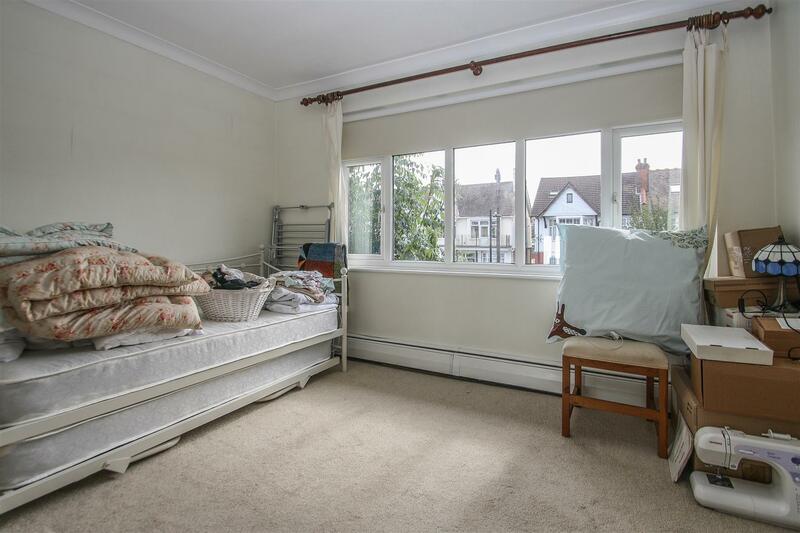 Ample frontage for off street parking and double garage to rear with access to First Avenue.